This cherry finished plaque has a first place black brass plate. 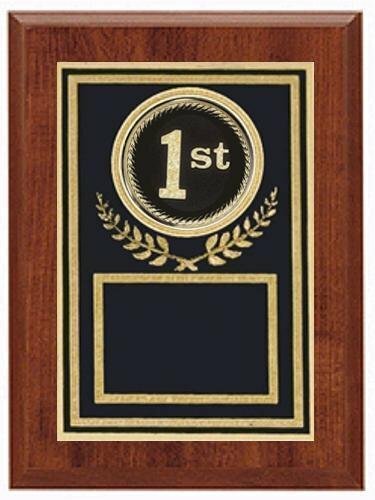 The 1st Place Plaque is an elegant, yet affordable award that can be used for any activity. This cherry finished plaque has a second place black brass plate. The 2nd Place Plaque is an elegant, yet affordable award that can be used for any activity. This cherry finished plaque has a third place black brass plate. 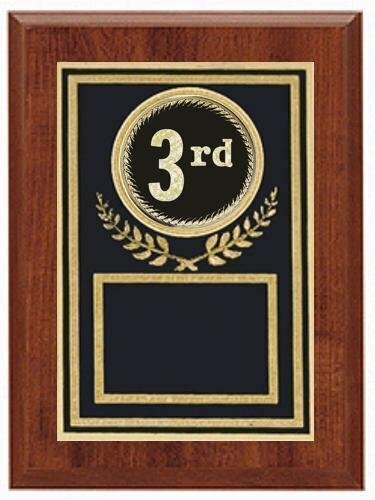 The 3rd Place Plaque is an elegant, yet affordable award that can be used for any activity. This cherry finished plaque has a black brass plate with an education theme. 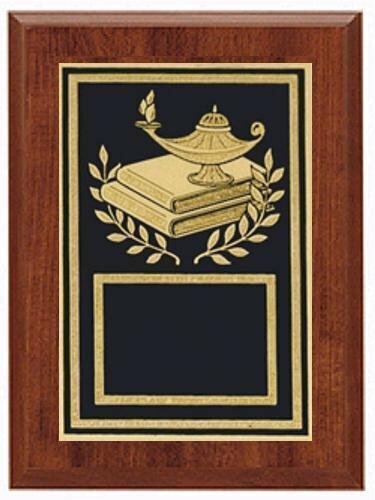 The lamp of knowledge plaque is an elegant, yet affordable award that can be used for education accomplishments. The academic plaque is ideal for both school and Christian education. 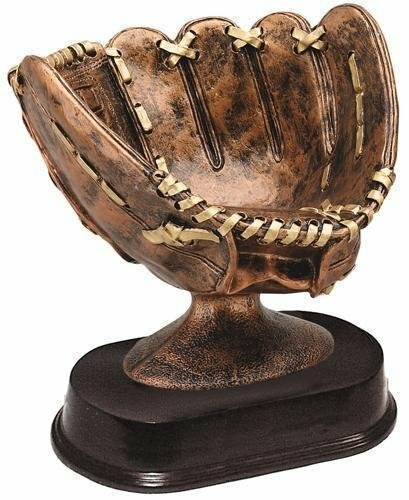 This resin baseball glove has an antique gold finish and is mounted on a brown oval base. The ball holder is personalized with a brushed gold laser engraved plate with black letters. The baseball is NOT included. 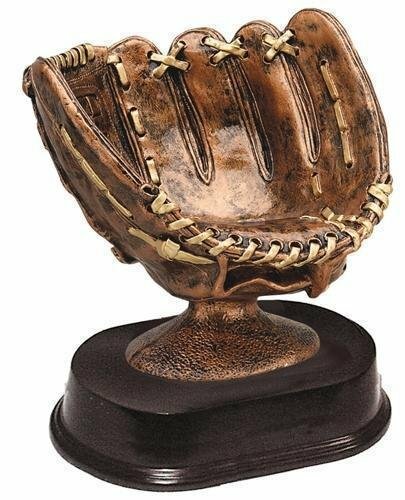 This resin softball glove has an antique gold finish and is mounted on a brown oval base. 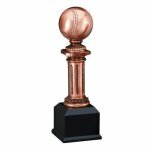 The softball trophy is personalized with a brushed gold laser engraved plate with black letters. The softball is NOT included. 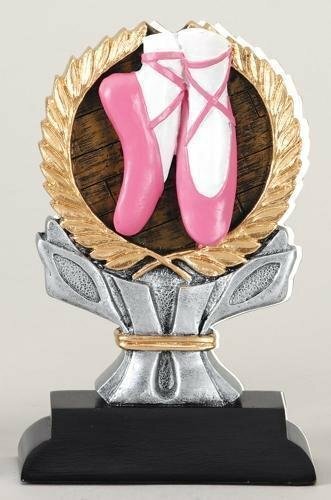 The Ballet ""Impact"" Award is a popular choice. The resin trophy includes a brushed silver plastic plate with up to 3 lines of black laser engraved letters. 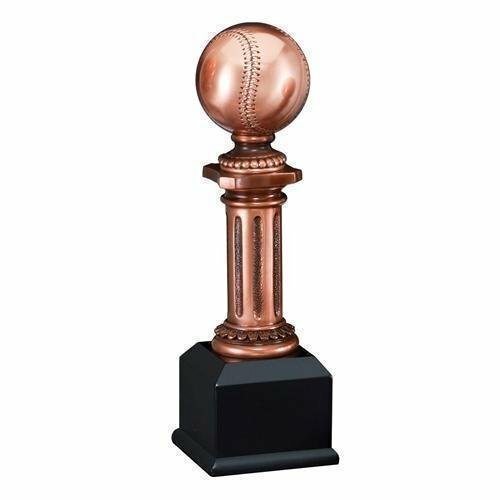 The Baseball Gallery resin is an elegant award choice. The trophy has a brushed copper laser engraved plate with black letters. 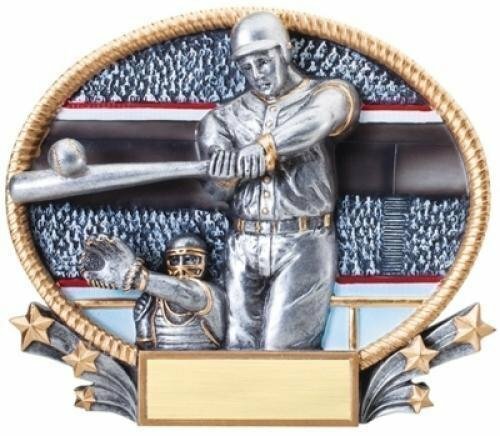 The Baseball resin award can be used as a plaque or as a trophy that stands up. This 3D trophy includes a brushed gold plate with up to 3 lines of black engraved letters. 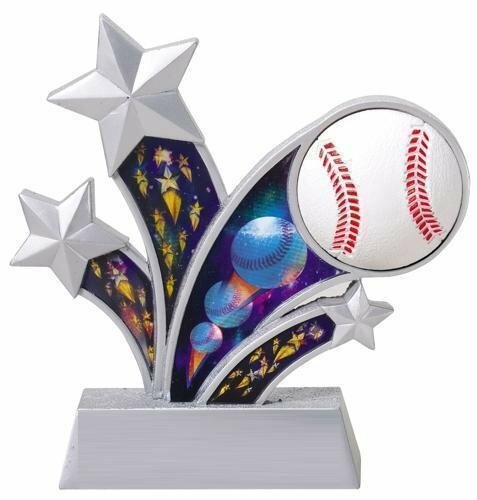 The Baseball resin has delightful holographic star accents. The trophy includes a brushed silver plate with up to 3 lines of black engraved letters.